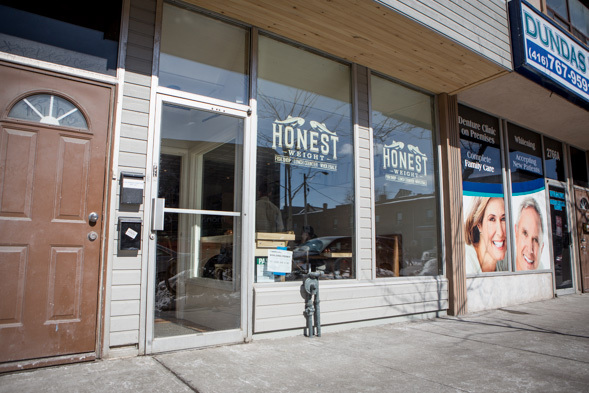 Honest Weight is an indie fish counter and kitchen in The Junction where customers will find pristine seafood to take home, or, enjoy for immediate consumption. 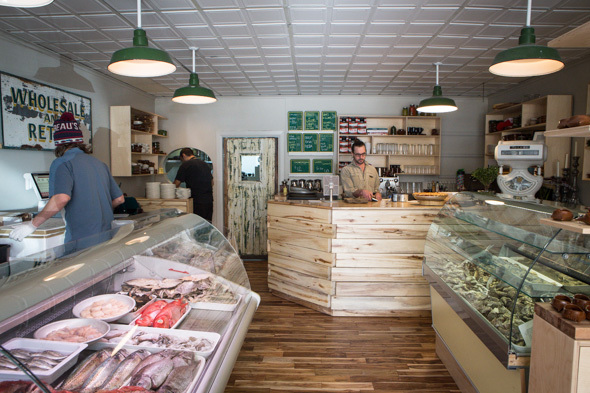 Owners John Bil and Victoria Bazen took over the space, formerly a denture clinic, last June, and have transformed it into a neighbourhood wood-clad seafood shop and casual eatery, where the menu is scrawled on chalkboards or chosen straight from the display. Bil isn't new to procuring seafood - he was working an PEI oyster farm when the owners of Montreal's Joe Beef convinced him to come work them. 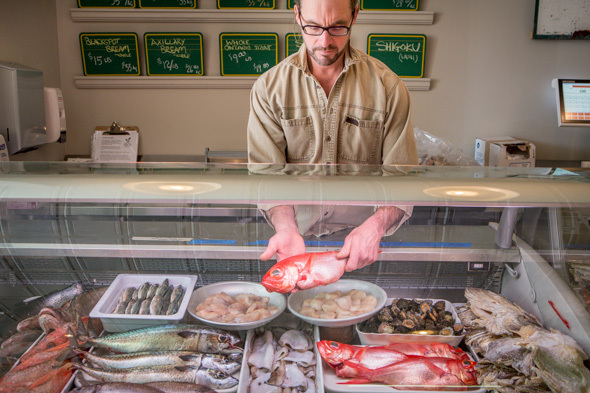 In more recent years, he's imported seafoods for wholesale to Toronto restaurants, and now with the opening of this new spot, he's making the same grade and variety available to the public. The menu changes regularly based on whatever seafood has been freshly procured - including some rare and interesting selections. 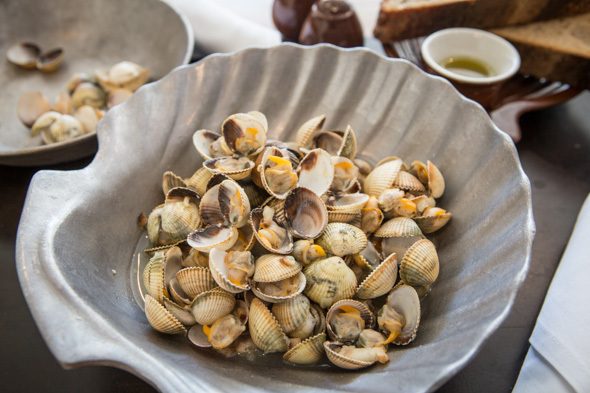 Today there are lapas (limpit clams), a delicacy common in the Azores, but something I've never even seen, let alone tasted. 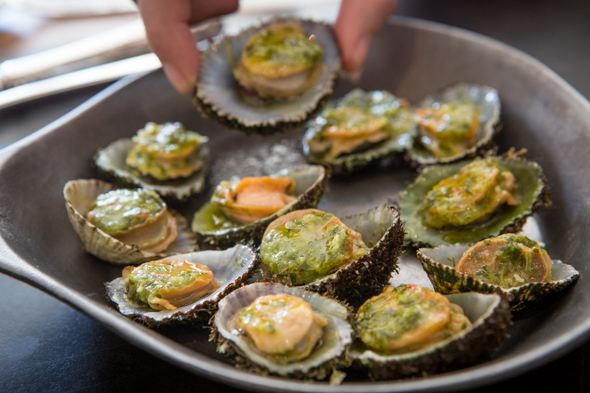 Ten dollars will get you six at a time, cooked simply on the shell then drizzled with a herbed oil. Their flavour is similar to mussels, but they're both squishy and crunchy all at once. There's cockles too, lovely little clams steamed with chunks of house-cured bacon and served with thick slabs of rustic bread brought in from Forno Cultura . More substantial selections include a fish sandwich ($12), okonomiyaki ($12), and a personal size deep dish pizza ($17). 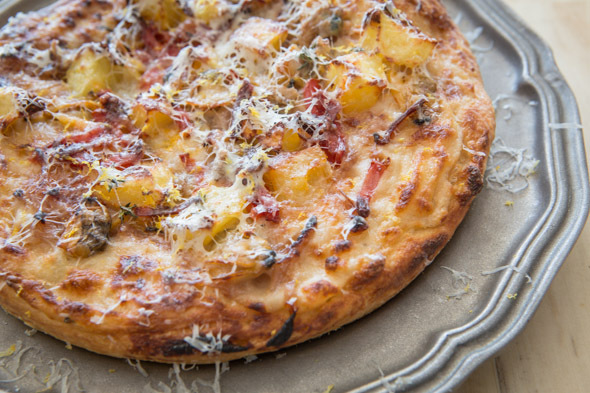 I try the pizza topped with clams, rabbit, chorizo, potatoes and baby parmesan over creamy mornay sauce. It's good, but I've been told an upcoming version will feature barbecued eel, and to me, that is far more enticing - I'll have to come back. 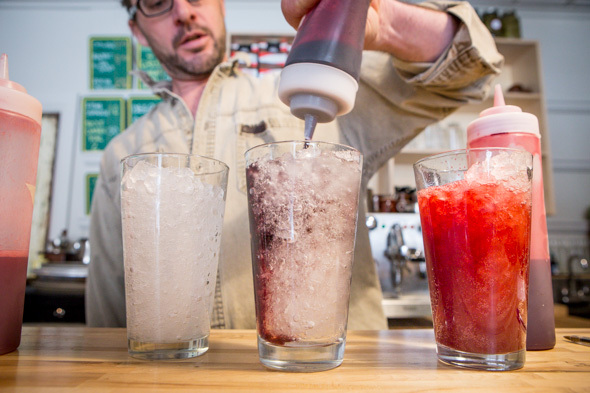 To drink you'll find house-made sodas ($3) in flavours like raspberry lemongrass and blood orange. Once their liquor license is approved, the intent is to add a couple beers and single options for red, white and sparkling wine. 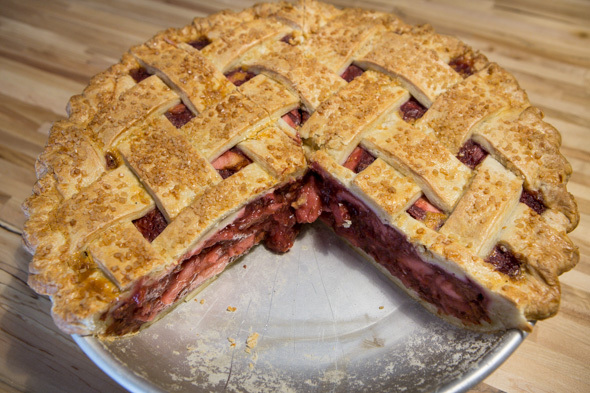 If you can manage to find room, there's pie ($8). Today it's cherry apple, and it's so massive that each slice weighs in at almost a pound and a half. 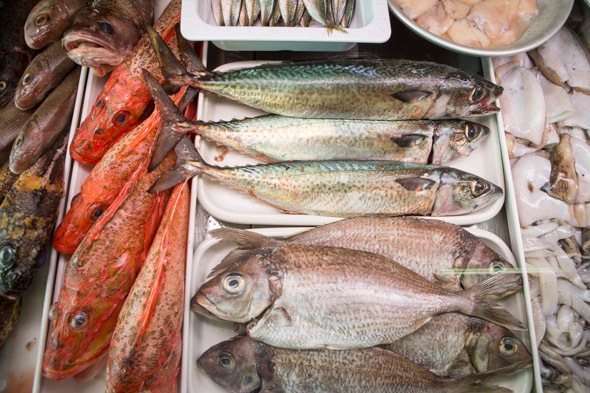 Everyone who works here does everything - there is no distinction between fishmongers, cooks, waiters and bussers. The guy who takes your order will likely drop it off too, and when you're done he'll offer you pie as he clears the plates away.